Welcome to the Early Years at Dame Bradbury’s. We look forward to getting to know you and your child. The first years of education are a voyage of discovery – exploring, questioning, initiating ideas and taking pride in every achievement. 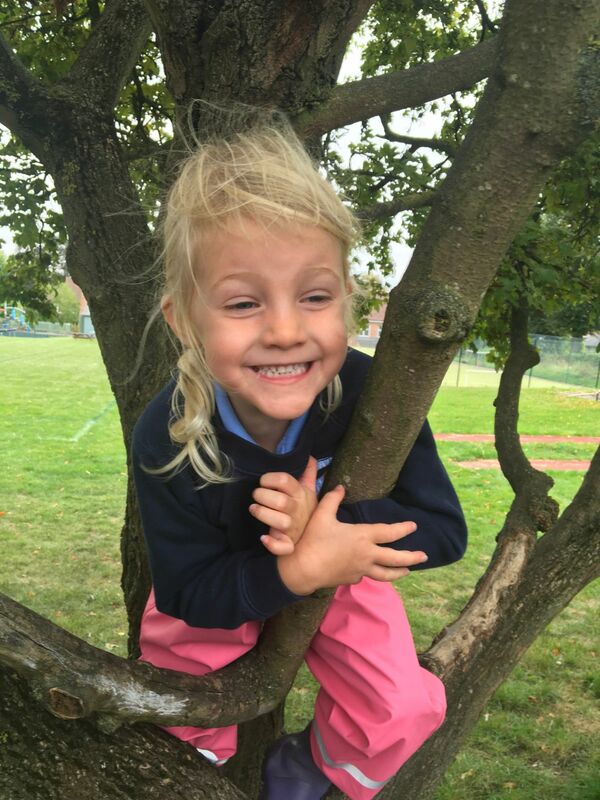 We lay the foundations for a lifelong love of learning, working closely with parents and sharing each child's experiences as they explore the world around them, learning through play and beginning their journey of independent, creative and reflective thinking. Places are available now in our brand new Early Years setting for 2 year olds (turning 3 the same term) and in Kindergarten (3-4 year olds) with full wraparound care from 7.30am to 6pm. We are also taking September 2019 registrations for Reception class. Please do get in touch, we'd love to meet you and show you around our amazing school! Please do get in touch, we'd love to meet you and show you around our beautiful school! Pupils are given rich opportunities to initiate ideas and activities to develop learning characteristics which support lifelong learning. Does your child love to play outside, to splash about with water, build with wet sand or mud, dig in the dirt, plant flowers, hunt for minibeasts, make mud pies and get creative with natural materials? 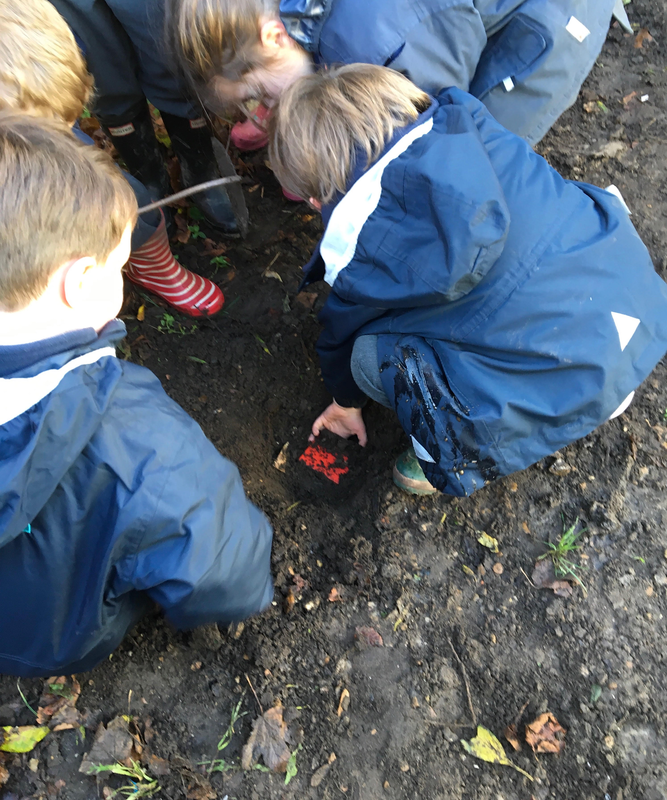 Forest school sessions take children’s learning out of the classroom and into the great outdoors allowing children to enjoy a healthy lifestyle, be physically active, build stamina and enjoy the fresh air. There are opportunities to try more risky activities such as tree climbing, using tools, building fires and helping children to make decisions about staying safe. They attempt new challenges and solve problems they would not face in a classroom, adding a sense of excitement and adventure. The Early Years mud kitchen is the best place for messy and sensory play. It is always busy especially after a night of rain when there is a natural source of water to collect in jugs and saucepans. Creativity abounds! Children experience sensory, emotional, interactive and imaginative play as well as developing maths, science and speaking skills. Physical activity in young children can enhance concentration, motivation, learning and well-being. In the Early Years, we provide many opportunities for physical play to promote fine and gross motor skills and hand-eye coordination, including weekly sessions of Big and Little Gym. Little Gym includes the use of bats and balls, movement and travelling in a variety of ways. Activities that promote spatial awareness, fine motor control, accuracy, two-handed coordination and manipulative strength. Big Gym focuses on the use of large apparatus: climbing frames, crash mats, ropes and ladders, development of larger muscle movement – gross motor and locomotor skills, balance, bodily co-ordination, strength, agility and confidence. 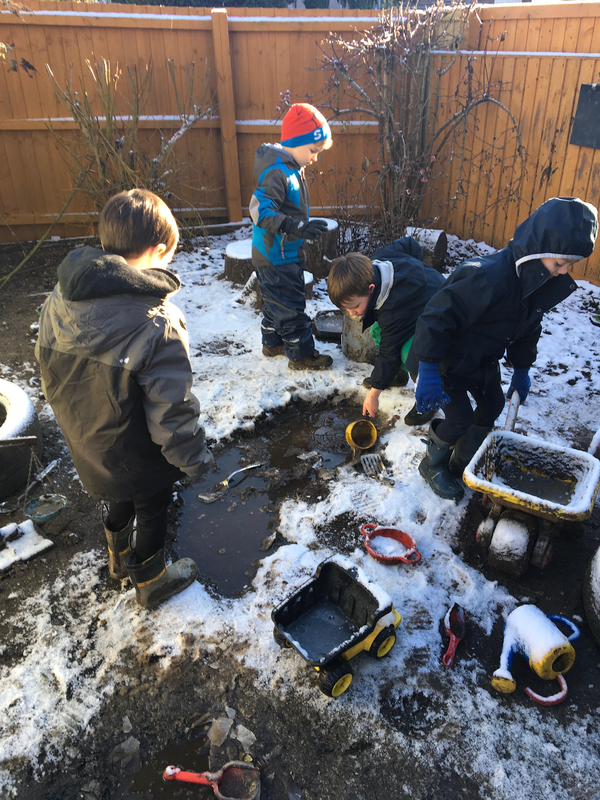 Loose parts play uses materials and resources that have no pre-planned use; they can be natural or synthetic, they can be moved, combined with other resources, lined up, deconstructed and constructed again. A box, fabric, tubes and crates can become anything they want it to be: cardboard boxes and crates become spaceships and vehicles to take us on journeys to who knows where! Pebbles become food cooked in a pan and poured onto plates, tubes may turn into castles – the possibilities are endless! With this flexibility, the children can play with and explore items; they can actively learn whilst being creative and thinking critically. They learn lifelong skills such as teamwork, problem solving, resilience and negotiation. Most importantly children have the confidence to try new things without the fear of failure. Loose parts have no right or wrong way of being used and as such there is no failure when it comes to making their creations. We have weekly music sessions with a specialist music teacher to experience the pleasure and learning that music brings. Does your child make up songs and, with no self-consciousness, sing to themselves as they play? Music can help not only language development but also creativity, physical skills and their personal and social development. It can help them learn sounds and the meanings of words. Moving to music helps develop those gross and fine motor skills and music can strengthen children’s memory skills. Children of all ages express themselves through music and are often quick to sway, bounce, or move their hands in response to music they hear. Children learn to sing together as a group and learning to play an instrument starts with percussion instruments. They have opportunities to dance and respond in their own way to the wide range of music they hear. Role play is an important part of child development, as it builds confidence, creativity communication, physical development and problem solving. 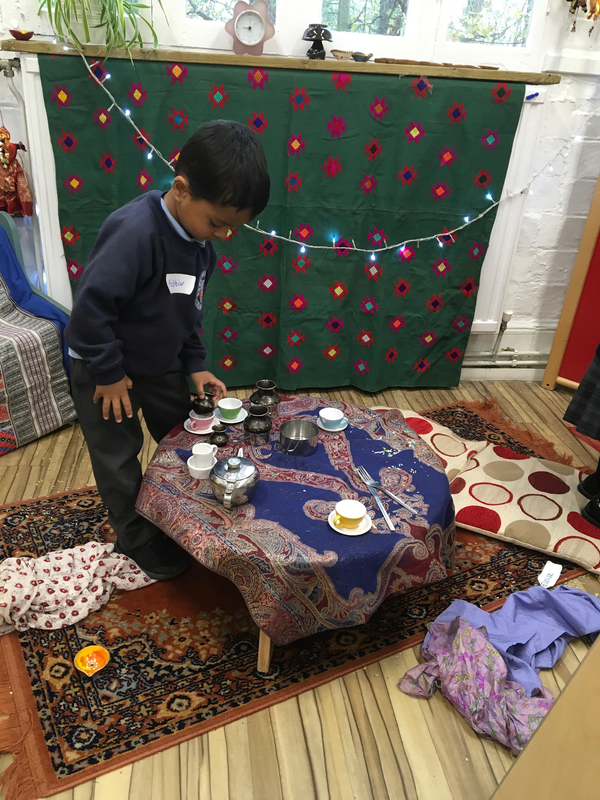 It also allows children to act out real life situations and roles such as different professions and day-to-day situations or as well as storytelling. It can be purely child-led and encourages children to take risks and be creative with the role they are playing. Pupils will be able to demonstrate their attainment best when the learning environment echoes children’s positive experiences and opportunities such as role play, cookery, celebrations, visits to special places or events are linked to their cultural experience. For further information on our Early Years programme please complete the form below and someone from our friendly Admissions Team will be in contact. Please tick the box(es) below if you are happy for us to contact you. We respect your privacy and will look after your personal data in accordance with Data Protection laws and our Privacy Notice. You can opt-out at any time.